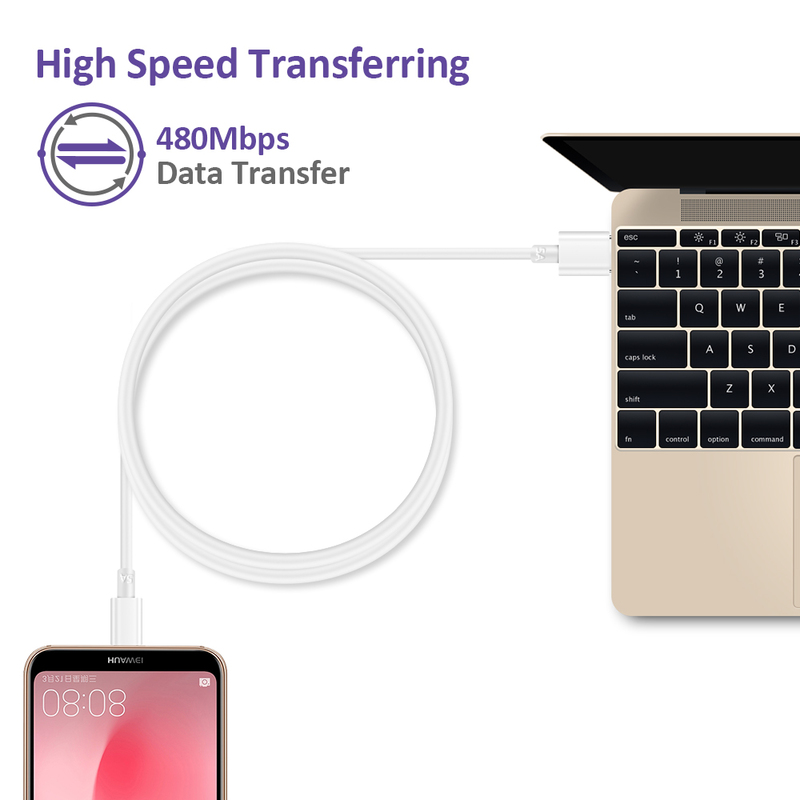 【Huawei 5A SuperCharge USB-C Cable】-- Designed with advancedtechnology,charge power up to 5A, Charge compatible devices up to 4x fasterthan traditional chargers.Data Transferring up to 480Mbps. Save your chargingand Syncing time. 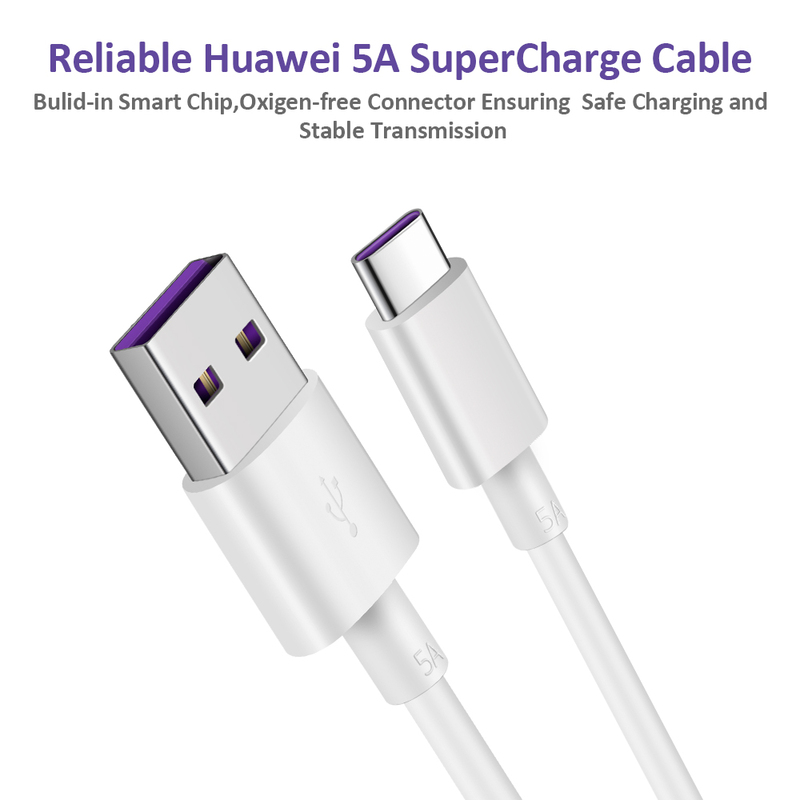 【Reliable Huawei 5A USB-C Cable 】--Build in SmartChip,monitoring the voltage and current, safety usage without any damaging yourdevices.Oxygen-free Connector,ensuring Safe Charging and Stable DataTransmission. 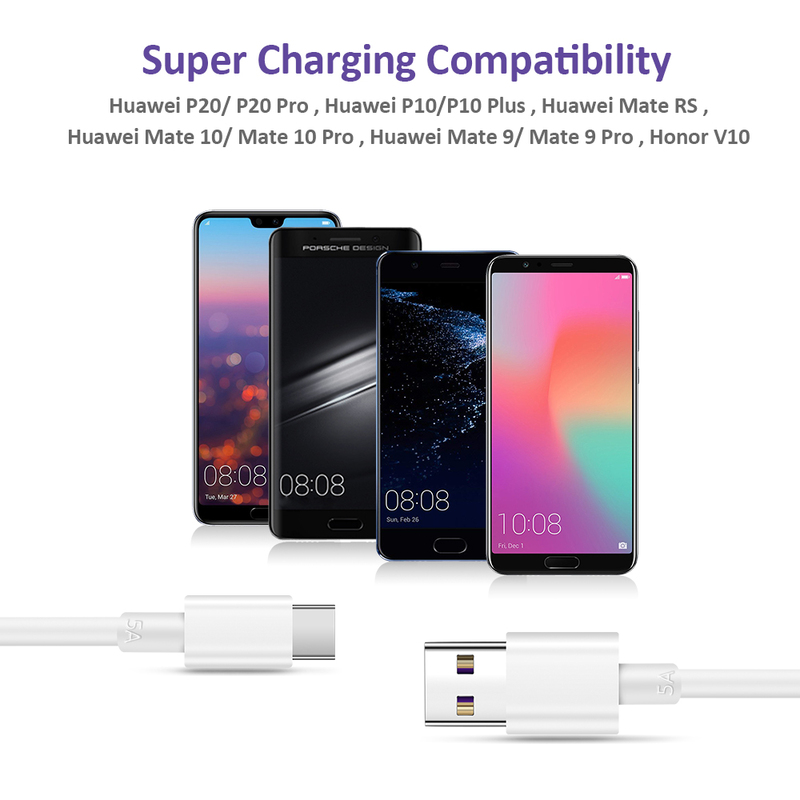 【Super Charging Compatibility】-- This SuperchargeType-C Cable Super Charging for Huawei P20 Pro, P20, Huawei P10,Huawei P10Plus, Huawei Mate 20, Mate 20 X, Mate 10, Mate 10 Pro, Mate 9, Mate 9 Pro,HonorView 10, Honor 10.Normal Charging 5V/2A with other Type C Devices. 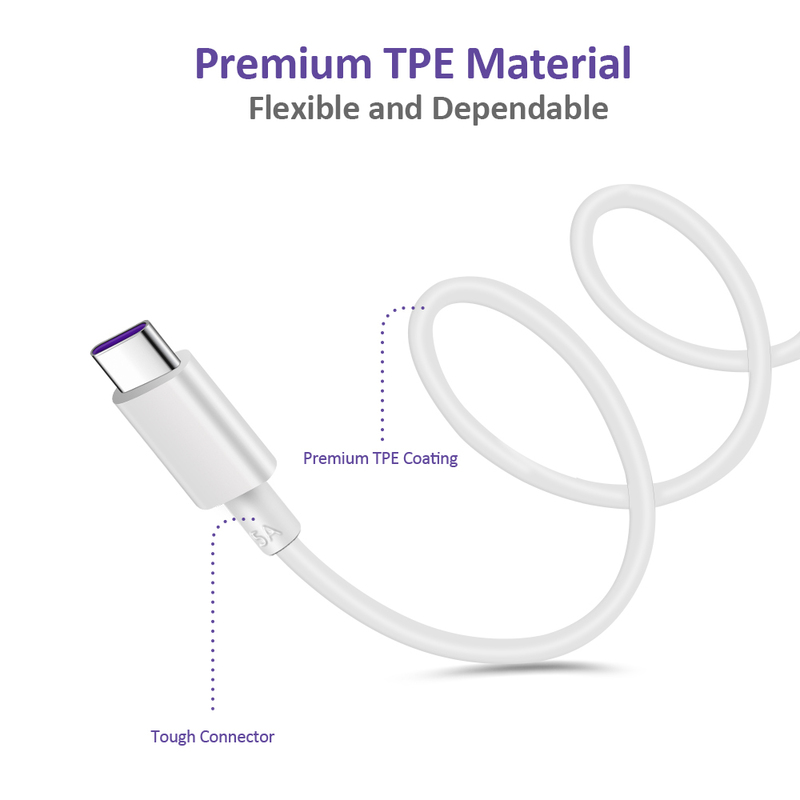 【Flexible and Durable Super Charger Cable】--Environmentally-friendly TPE housing is wrinkle-free, compact and no fraying.Inner PVC prevents fire or overheat.which makes it dependable and sturdy enoughfor everyday wearing and tearing. 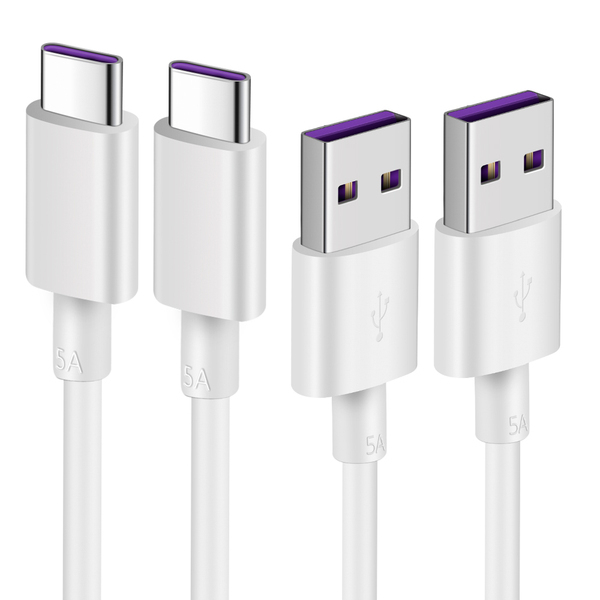 【What you get】-- Huawei [3.3Ft 2-Pack] 5A Super Charging Type C Cable,30-DaysWorry- free Replacement or Refund.12-months Friendly Customer Service,If thereis any question,please feel free to contact us. COOYA Huawei 5A SuperCharger Cable,3.3FTFlexible USB Type C Super Charging Cable is an Ideal Choice for your HuaweiDevices. 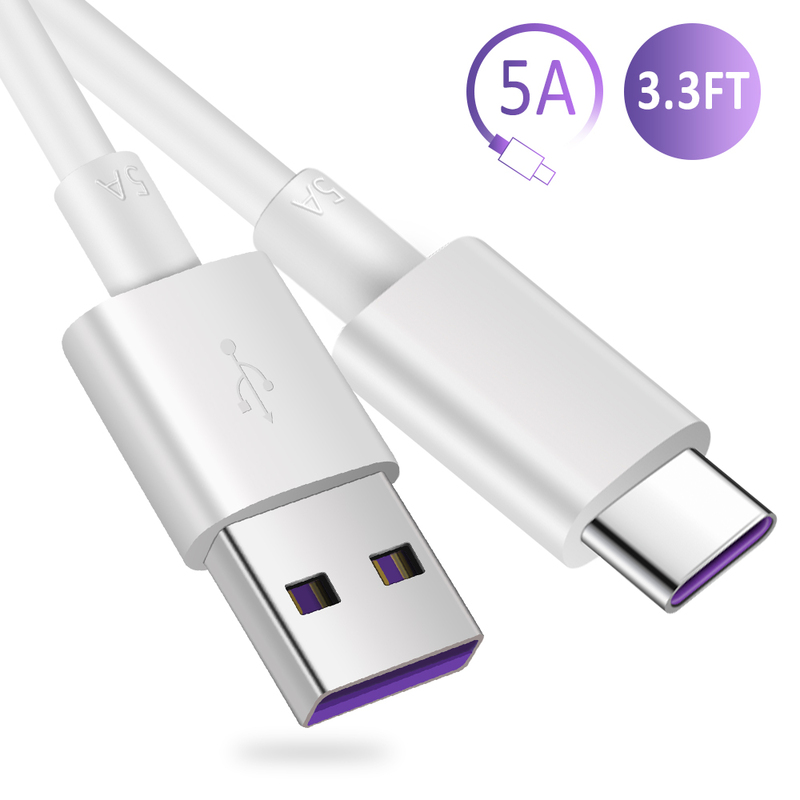 COOYA Huawei 5A SuperCharger Cable,3.3FT Flexible USB Type C Super Charging Cable is an Ideal Choice for your Huawei Devices. 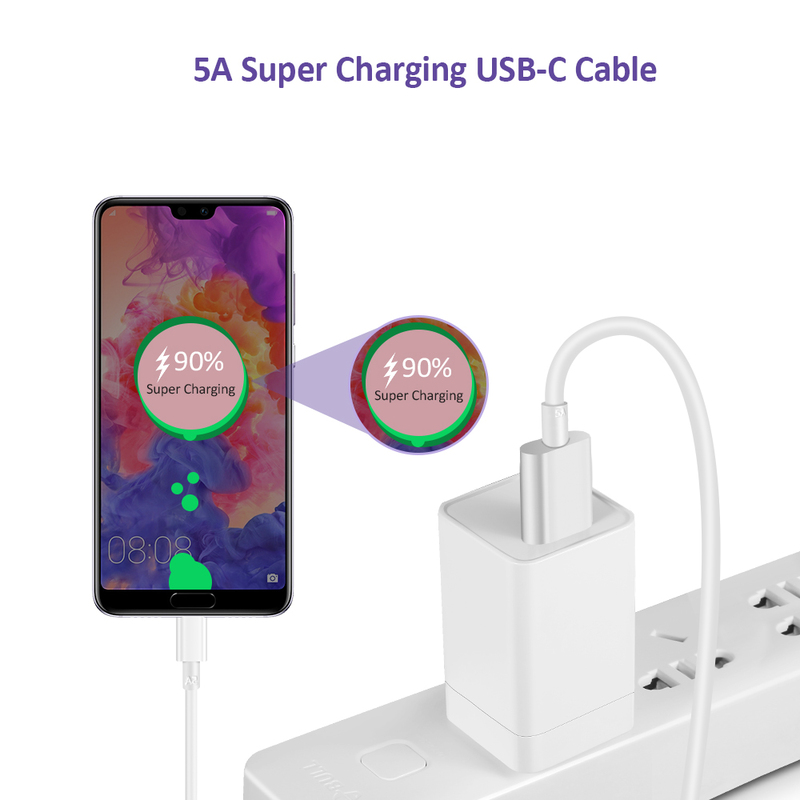 Our Huawei 5A SuperCharge Cable More power without increasing pressure.Offering safe and super fast charging up to 5A.Data Transferring up to 480Mbps.